Between husband and wife relationship, talking with each other is normal and is not one of those things that we learn anywhere. After all when they were mere friends they talked. During courtship talking was the order of the day. They understood each other very well to decide to live their lives together. Well, somebody tuned off somewhere along the line because something happened which they should have talked about but didn’t. That’s why it is difficult to talk now…I mean really talk to or with each other? It is either “he doesn’t talk to me” or “he doesn’t listen to me”. Talking is unhindered expression of the mind by the spoken word. Of course talking is a waste if it has no caring audience and contributor in the person of our spouse. And it should bond husband and wife relationship or solve problems. The more couples talk, the more bonded they get…and the less unresolved issues lingering around their lives. So, we never outgrow talking. In fact reduced talk, careless talk or no talk is a sign of tension and dwindling affection in a relationship. Actually, talking is the most talked about among other ways of expressing our thoughts and desires. There are also action, inaction, gestures or body languages that are as important and convey the feelings and thoughts of our mate. 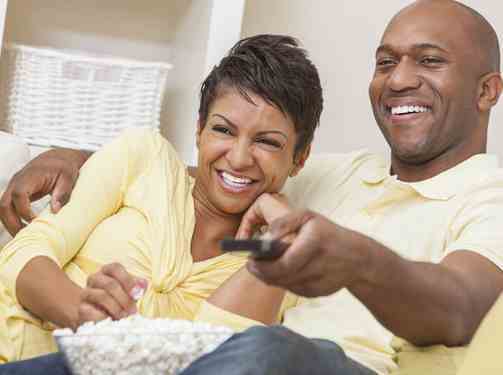 Over time couples settle for the way and manner to relate with one another best. However, talking is indispensable in the home. Except the couple (or one of them) is speech challenged. Can You See Any Of These In Your Marriage? 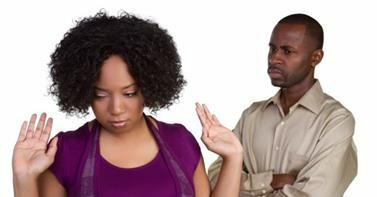 Understand that your husband expects you to hear him out and understand his side of reasoning. The gulf exists because your own thinking differs (or seems to differ) from his own. And each of you wants to dominate. If you cannot control yourself you can’t control anything else. So put yourself under and accept his side just because you love and respect him. Set a time to talk regularly…soon it will become natural to talk as often as it is to eat. When you talk, eliminate distractions like sleep time, TV or children running around you. Hold his hands, or put your head on his chest (whatever suits you) as you talk. Just ask questions, make suggestions and conclude the matter there. Even if there is no decisions to make, just talk about yourselves and ease tension. The best way to win over your husband is to respect him and show it! Tell him how well he has been your leader and provider and how much you value his decisions. Believe me this is the easiest way to have your own way later. Finally, do not expect him to ‘know you’. Sometimes he may be able to tell what goes inside that mysterious mind of yours with precision but not all the time. So tell him what’s rolling in your head and your feelings over whatever it is. This is what the talk is all about. It is the stimulus of all the happy things you hear about husband and wife relationship and expect in your own marriage.